Anyone paid for breeding rights before? Is this common, or what? Any input form anyone who has experience in this please let me know? Re: Paying for breeding rights? Is this common, or what?~With BYB yes. Reputable breeders do not "sell" breeding rights. Reputable breeders only allow breeding rights on dogs who are breed worthy (to better the breed) and most do not sell them for a higher cost. If your thinking of dealing with a breeder who is willing to allow any dog to be bred for the right price I highly recommend looking elsewhere. i agree with Vdog, run and run fast from this person, i also would point out, all pups in the litter cost the same, no matter the color, no matter the pup. black brown landseer grey are all colors in our breed, none of wich is considered "rare" or "worth more money"
the same amount of work and expense goes into each and every pup, and we dont even recoup what we put into a litter let alone get rich. anyone who has catchy word phrases, are to be questioned. I came across a Saint Pup a little while ago from CH. parents that was being sold with full breeding rights to whoever bought him. And this is a breeder that is supposedly in good standing with the CKC (Canadian kennel club). I was rather shocked. but after the check ups and all is good should there be a charge for breeding rights. I am under the assumption that some do and some don't, is this right, and is it more common to pay for rights? I understand that the dogs are sold with non-breeding contracts. I understand that the dogs are sold with non-breeding contracts. Then what?>. Then the dog must be spayed/neutered~ most state before 1 year old. There are breeders who have contracts that allow for the new owner to hold off until the dog 2 years old, health tested and proven then the contract can be changed. HOWEVER..most S/N contracts are just that as most should be. The breeder is reputable and has a well-known name behind her dogs. Here in Canada anyway. I was wondering, I want to be able to breed in the future, after we get more established and didn't know why some charge for breeding rights after the dog is two, and some don't. Why can't it be the same. And is this common. The price of the pup or a pup in exchange. Any thoughts to that? I do not know of any Pyr breeders who do not have a different price for a show vs. pet quality dog. if you are paying for stud fee from her to breed your girl, but i would think it would be specific on that. i am not sure your breeder is as reputable as you think, the majority of reputable breeders do not do this. there is a fee to the akc to change limited to full registration, but, that is to be expected. i would dive into the standard for great pyrenese and study the breed before jumping into it. it is tonns of work, and not always fun, there is heartbreak, you can have all your people lined up before your litter drops and than three will back out. things happen, and i am grateful when people back out before it is time for pups to leave. i would make sure you find out for sure you are dealing with reputable. most mills and BYB still operate that way becouse people dont research and get suckered in. some breeders require a puppy back, if they want it even. 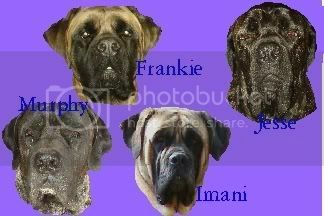 For mastiffs, at least from my breeder, the pups usually all cost the same amount. Some can be less due to certain things, but nobody is allowed breeding rights until/unless the dog is 2 years old, has passed all OFA testing, hips have passed, AND the dog has been shown to his/her championship. Then and only then, can they expect the contract to change to allow breeding. I know some of you may disagree with my opinion but I feel I need to weigh in on this. I paid for breeding rights or rather full AKC registration for both Heidi and Nicholas. In both of their litters there were pups who were pet quality and those with the "potential" to show. Those with potential were sold with full registration and a 2 year contract, those who were pet quality were sold only with limited registration and a spay/neuter contract. Not to mention, neither breeder I worked with would ever replace my puppies. If there is a problem, they will refund my money to help with vet costs. They would never think of taking our dogs back separating them with the family they have known and love. I work with professional breeders, who have been breeding for years with only quality dogs. They are there for me whatever I need. I don't feel like they are BYB. Both show their animals and know how to spot quality dogs. You definitely need to research any breeder you work with. Simon's breeders were definitely BYBs out to make a buck. But we have learned so much since then. And we wouldn't trade Simon for anything. He has been a learning experience in itself. There is no gaurantee and even the ugliest pet quality can turn into the best adult of that litter given time to grow out, that is why we do not seperate the price for breeding and pet. EDUCATED GUESS at best when we grade our litters, and even the best of us can be wrong in our choices. and, with giant breeds so many things can go wrong simply from the food they were fed the environment and lack of excersise, so than the dog doesnt end up turning out, and why should we pay for the owners lack of coachability, lack of understanding how crucial it is for them to listen to our well directed advice. why is it that we breeders can raise pups that ofa and are healthy joint wise? one of my puppy people who is a scientist chose to listen to the vet of all people on what to feed one of my puppies, instead of me, after promising that he understood my experience is worth something, he has her on large breed science diet. i am so frustrated and so mad, but, i also wash my hands of any kind of refund should she come up not turning out, he switched her at 7 months, and, i am hoping that the foood she got from my recommendation gave her the building block, but, i also realize she is not nearly done growing, and, it is in my contract that if people stray from my well intended advice, than there is no money back, i refuse to pay for negligence. any breeder can come off as reputable, but, i refuse to charge more for a dog that apears to be more promising than littermates, and less for the others there is more to it than just that, there is the fees for care, the vet visits, the tears and strife that come with some litters, it is the time spent educating, the hours spent on the phone, the time spent with the people when they visit the pups, the time spent after they go to their new homes coaching and giving advice, it is way more than even any of this.. I'd pay at 8wks only if they extended a guarantee to stipulate that I get my "additional fee back" if despite my best efforts, the pup did not develop into a perfect candidate by 2 yrs of age, for that purpose. I totally agree. We made that mistake with Simon and are out the extra money we paid now that we can't breed him. We can't reach the breeder despite our best efforts and have spent over $1500 trying to get his health to what it should be. with giant breeds so many things can go wrong simply from the food they were fed the environment and lack of excersise, so than the dog doesnt end up turning out, and why should we pay for the owners lack of coachability, lack of understanding how crucial it is for them to listen to our well directed advice. I agree also. The breeder can only do so much. A lot lies with the owners and how they take care of their puppy. Especially with giant breeds, there is a lot that you have to be mindful of with their health and nutrition. If an owner does not listen to the recommendation s of the breeder, the breeder should not be responsible. The other thing that bugs me a bit, and people dont want to hear this, nor do they want to understand it, they want to assume becouse we had 8 pups in a litter at this price we are making out like bandits. do you know that by the time i get done paying the vet her fees for the whole time i had the litter here and for everything else that was needed for these guys that there is nothing left? so the money for a refund is supposed to come from where? well by all rights the price should go up to reflect the costs that go into breeding, but, hey, we are shopping for the cheapest price ya know. we cant be open minded to the honest breeders who are putting everything they have into a litter. nope, instead we want to assume, that becouse this breeder only has two litters or less per year, vs someone pumping out three or more litters per quarter who has the money coming in constantly but is overflowing the market for all the wrong reasons, that that breeder can pay up why cant you? so far i have been incredibly fortunate and i count my blessings that no one has come up lame, and no one has needed surgery on legs or hips. i am most grateful, but, i also attain that to spending time with my people, making sure they understand how crucial it is they listen to my adivice, that i also tell them i am here and no question is a dumb question, and, within reason about half the people from a litter stay in touch. that is encouraged and very much appreciated. i would beware those who are constantly dropping litters becouse those pups are not getting the one on one they deserve from the breeders. i also cant see how a breeder can stay in touch with that many people, how they just cannot coach their people properly. I need to go back and re-read this topic when I have a little time. What I was saying is that with all of the top Great Pyrenees breeders you pay more for a show quality than a pet quality pup. I know that "show" only means that at that time they are most likley to be of a quality to Ch.